A gallery art wall is an eclectic mix of paintings, prints, photographs and other accessories that express your personality and shows off the things you love. It can be a unique way to document and tell the story of your life and experiences. 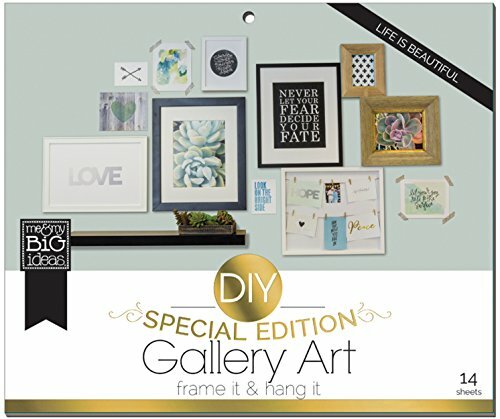 DIY gallery art pads make it easy to create your very own gallery wall. If you have any questions about this product by Me & My Big Ideas, contact us by completing and submitting the form below. If you are looking for a specif part number, please include it with your message.